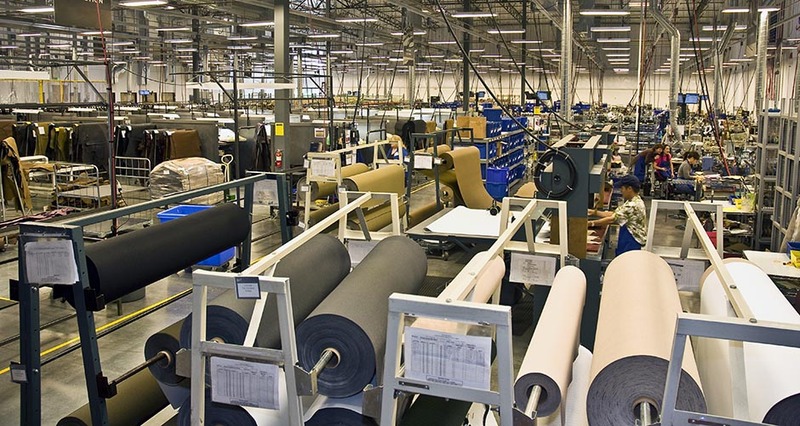 This 64,548 SF tenant space within the LogistiCourt building on 181st Avenue houses the Danner boot manufacturing facility, including 9,594 SF of administrative offices on two floors. 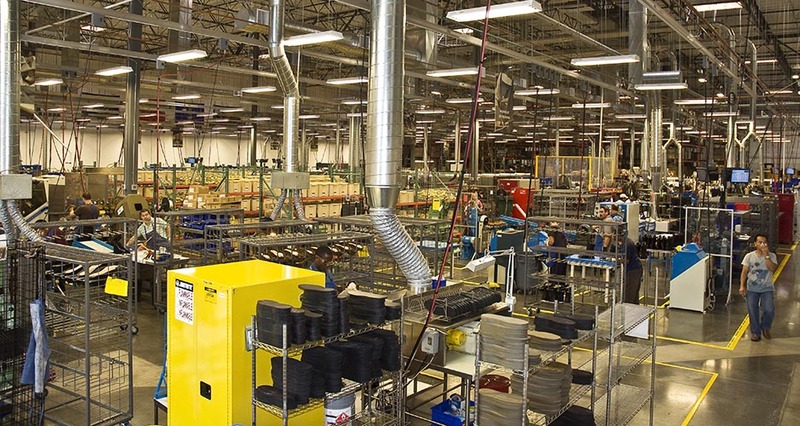 This facility allows the company to improve manufacturing efficiency to raise production, as well as significantly increasing the amenities provided to employees. 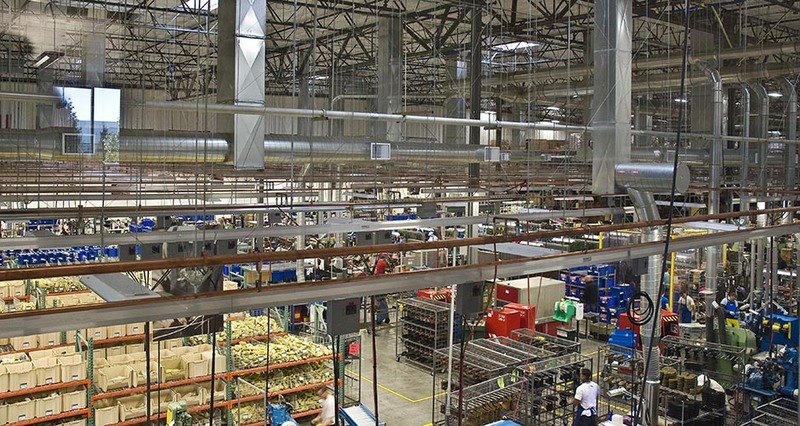 To accommodate Danner’s complex manufacturing process, including hundreds of individual work stations, the existing 30’ interior clear height is utilized to cleanly accommodate a complex system of utilities, including HVAC, process air, electrical distribution, and process water distribution. Each utility system is designed to allow maximum flexibility for reconfiguration to accommodate rapid production realignment. 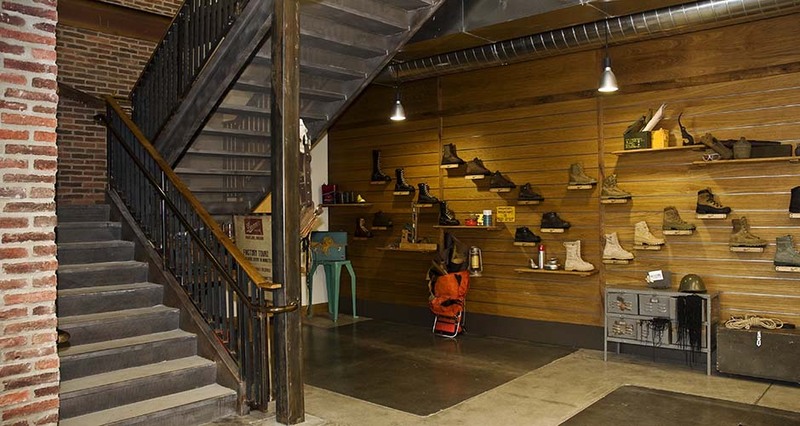 The administrative office incorporates design elements and finishes that enhance the connection to the manufacturing process and integrate with the Danner culture and corporate branding. 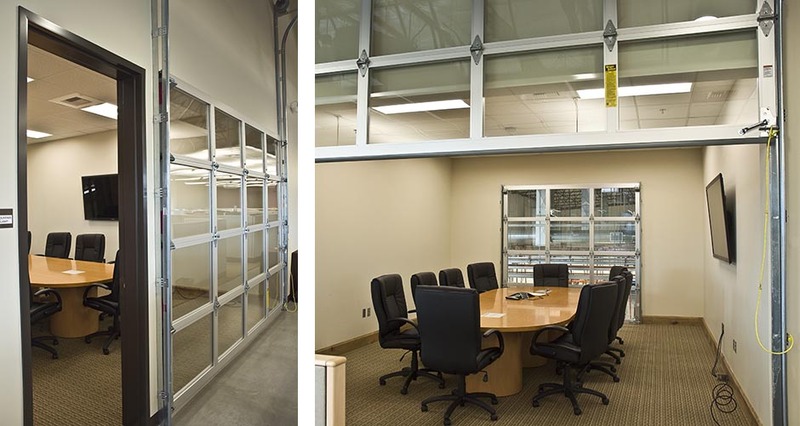 The use of glazed overhead doors at conference areas—within the office as well as opening onto the manufacturing floor—allows administrative staff to monitor manufacturing status, and provides opportunities to display this state-of-the-art manufacturing facility to customers.